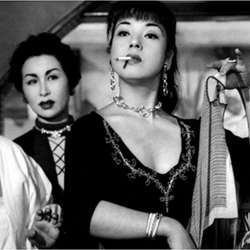 Street of Shame (赤線地帯 Akasen chitai) is a Protected content Japanese film directed by Kenji Mizoguchi. It is the personal tales of several Japanese women of different backgrounds who work together in a brothel. It was Mizoguchi's last film. Plot: The personal tales of various prostitutes who occupy a Japanese brothel.